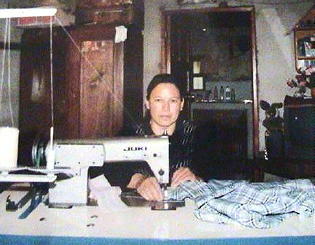 In 2003 a total of $7235 was spent for three sewing machines, home construction and repair and 16 student scholarships. For the year of of 2004 we have budgeted $7582 for similar projects and have paid out half this amount as of this report. The remaining half will be paid on July 1st. This will provide for 18 student scholarships, livelihood development projects for chicken and egg production , a sewing machine, an outdoor bread oven and two more cement floors. 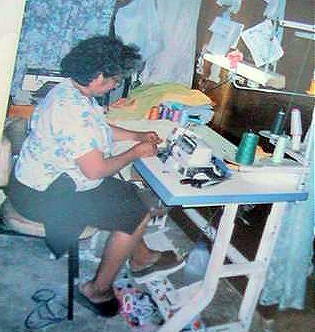 In all LifeNets has assisted Guatemala $14,817 in 2003 and 2004. An interesting new project for 2004 will be a biodigester that will be a container made from cement and sand about three or four meters underground. It will be fed excrement from humans or animals such as cows. The decomposition (the decomposition is accomplished with bacteria that live in human excrement) of these waste products produces a fermentation which is transformed into methane gas. This gas is a fuel for stoves (or kitchens) or for refrigerators that run on gas. Methane gas is similar to propane gas ( it is similar but methane gas has a great molecular weight whereas propane gas has three molecular weights but of a very small size). To feed the biodigester so that it generates an adequate amount of gas for a family's consumption, it is necessary that at least 4 people live in the house. Stay tuned to interesting reports on this project. Thanks to everyone on the donor end who is helping us meet our budget! Click here for other 2003 projects completed. 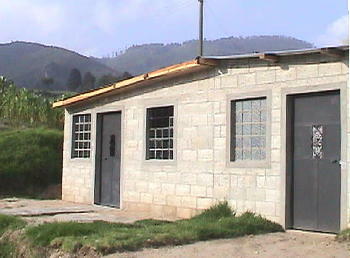 The photos of the homes are two separate homes joined together in Quetzaltenango that provide habitat for two families. 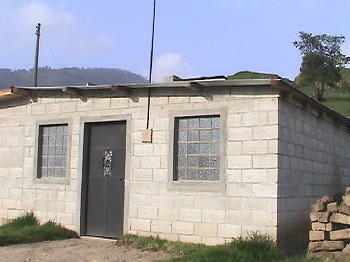 Cement floors were poured along with roofs being repaired. 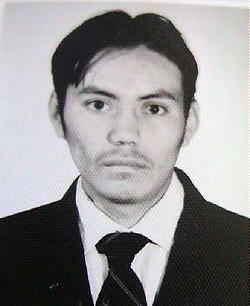 Scholarship from LifeNets in Guatemala.